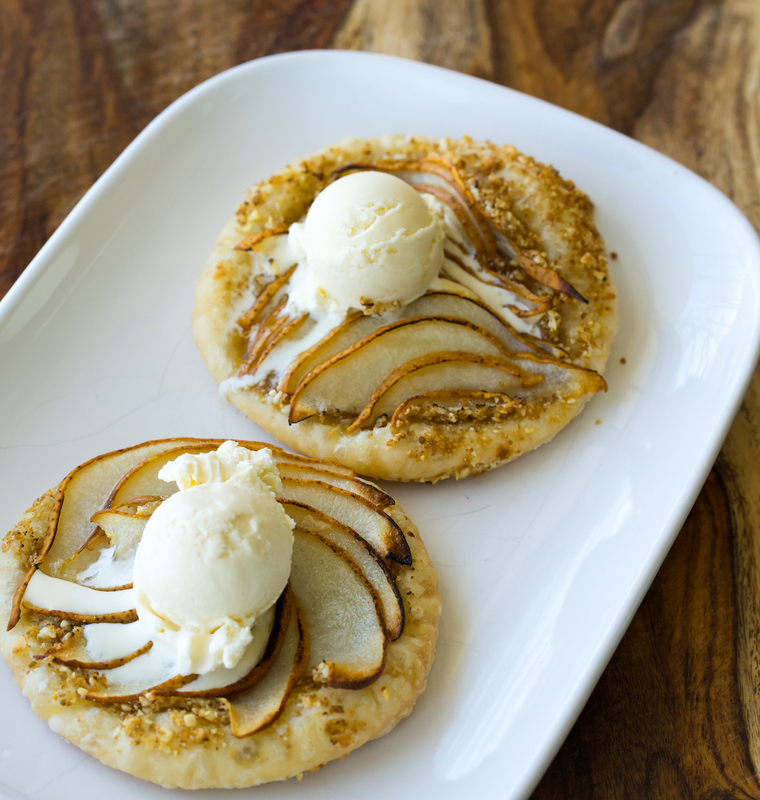 Pears, almonds and maple – they’re made for each other. 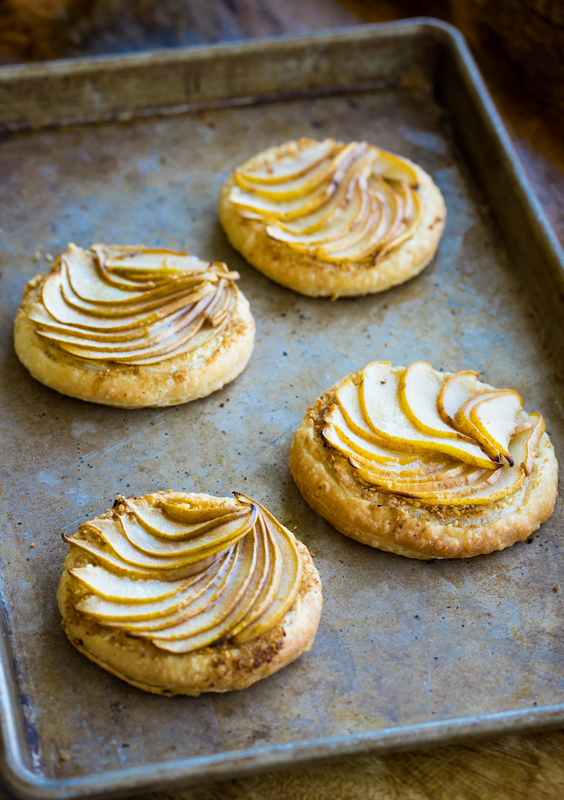 I love making a classic Pear Frangipane Tart, but these little mini-tarts will deliver those beloved flavors, with the benefit of immediate gratification. And you can pick them up and eat them with your fingers, even with a scoop of maple ice cream on top, which is always a plus in my book. In the bowl of a food processor, pulse together the almonds, graham crackers, brown sugar, maple syrup and almond extract until pulverized into a paste. On a floured surface, roll out the puff pastry until about ½ inch thick. Using a bowl or drinking glass as a template, cut out six circles, about 6” in diameter. You may get more or fewer circles depending on the size of your template. 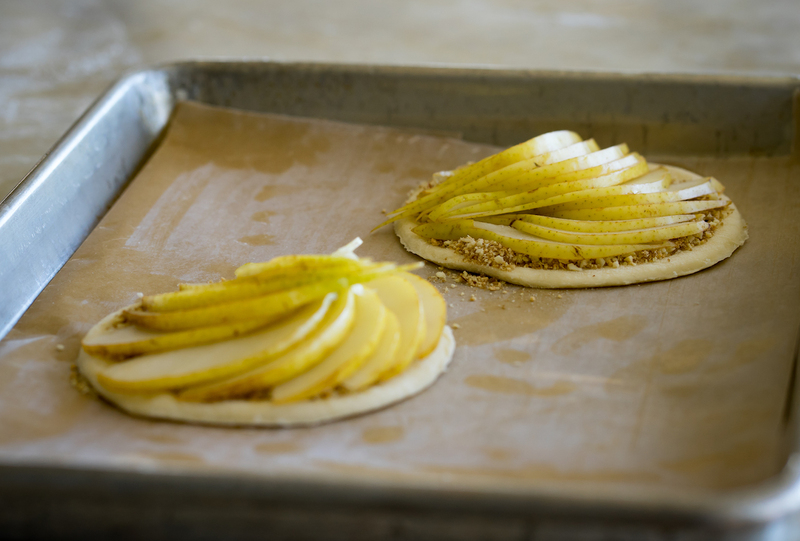 Using a metal spatula, carefully place the puff pastry circles on a parchment lined baking sheet. Reserve about a tablespoon of the almond graham cracker mixture, and then divide the remaining mixture on top each tart, spreading it out to cover each disk. Slice the pears in half, and core. 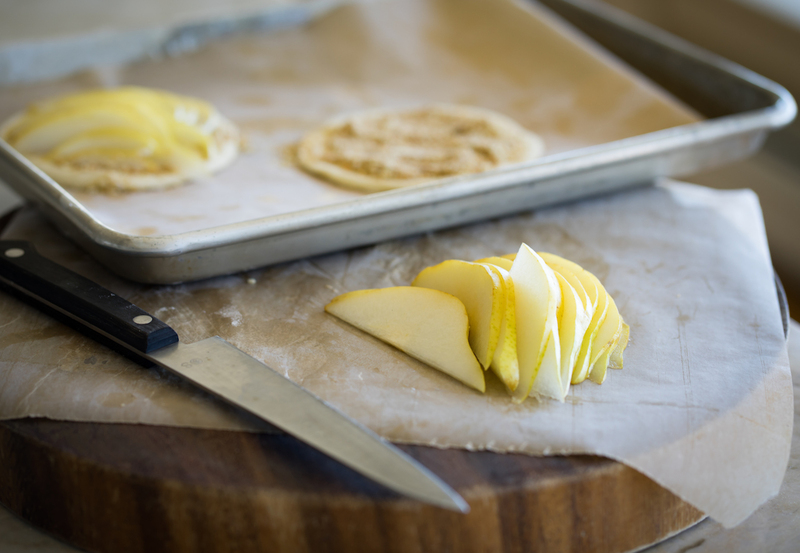 Slice the pears as thinly as you can, and arrange in a pretty pattern on top of each of the tarts. Sprinkle the tops with the remaining almond, graham cracker mixture and dot each of the tarts with bit of butter. Bake the tarts for about 25 minutes, until they are golden brown, puffed and cooked on the bottom. Serve the tarts topped with maple ice cream, a drizzle of maple syrup.